Buca di Beppo is a restaurant chain that specializes in Italian-American food served family style. 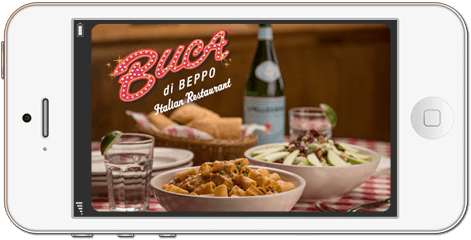 Digital Buca di Beppo Gift Cards are a cost-effective and fast reward option. Offer your recipients a choice of rewards with OmniCodes. You can let them choose from Visa and MasterCard products or great national brands like Buca di Beppo. 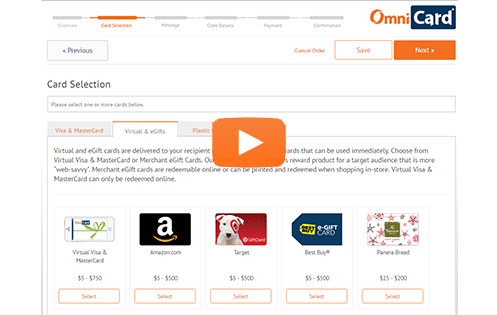 OmniCard specializes in employee rewards, sales incentives, marketing promotions, wellness incentives, and much more. Use Buca di Beppo gift cards for a successful and memorable rewards program. Buy in bulk using our easy-to-use client web portal or automate the process using our API Platform.